Since you are looking at this site, I imagine that you are interested in improving your lifestyle through health and fitness. Of course, there are a myriad of benefits to exercising and following a healthy diet such as reduced risk of chronic disease, elevated mood, increased self esteem, improved appearance, and much, much more. 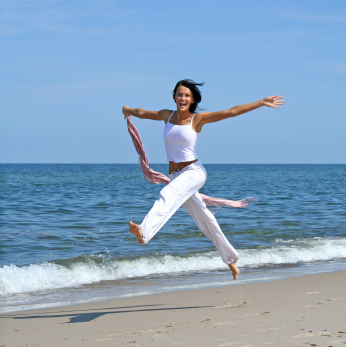 There really are no downsides to living a fit and healthy lifestyle. Tracking your health, diet, and fitness can alleviate this problem in addition to providing many other helpful benefits on your journey to a lifestyle of health and fitness. The primary benefit of logging your diet and exercise is motivation. It is much easier to stay on track if you can look back after sticking to your program for a period of time and see that you've lost several pounds or shaved a few seconds off your routine neighborhood run. It's a great feeling to pull up your weight chart and see that descending line or the ascending graph of your cycling pace. These visual cues are reminders that you are taking small steps each and every day toward your larger goal and it's working. With Online Fitness Log you can converse with other like-minded individuals who share the same goals and the same roadblocks as you. You can share your secrets of how to keep plugging away when you've had a rough day at the office and just want to grab a glass of wine and curl up on the couch. Let others help you find a better alternative when you have that urge for the fast-food super burger. Having your diet and exercise plan in writing greatly increases your chances of sticking to them versus simply trying to "cut back" on unhealthy foods or "exercise more". Defined goals and plans to reach those goals will ensure that you achieve what you wish. Sometimes your mind will tell you that you've been exercising regularly when you can look back at your training log and see clearly and definitively that you've only averaged one workout per week for the past month. Sharing your goals with friends in the Online Fitness Log community is another great way to stay accountable for your health and fitness. When you tell at least one other person that you are going to do something your chances of doing it just to save face increase dramatically. Whether your goal is to lose 10 pounds by next summer, lower your blood pressure by 5 points, or shave 30 seconds off your weekly club 10k time trial, you will need a plan. By tracking your metrics, exercise, and diet on a daily basis you will be in a much better position to understand what you need to do to reach your goal. When weight loss is your goal, simply log the foods you eat and the exercise you perform and Online Fitness Log will calculate the calories consumed and expended and show you the difference. Knowing that 3500 calories is equivalent to one pound of body weight and that you are expending on average 500 more calories per day than you are consuming tells you that you can lose 1 pound per week. Perhaps your doctor has recommended some diet changes to lower your blood pressure. Use Online Fitness Log to track the foods you've eaten, the exercise you've completed, and your daily blood pressure to see if the changes have made a difference. See how much sodium you've consumed or how much saturated fat you've removed from your diet. Say you're planning to bike a 50-mile charity ride in a few months. Start tracking your daily exercise including distance, average speed, and average heart rate. Watch your speed and distance increase and your average heart rate decrease as you consistently train for your event. Consistency is the key to reaching your goals in relation to diet and exercise. None of the changes you are seeking can be made overnight. The route to your final destination is paved with small baby steps. It can be easy to get lost in the day-to-day struggle and lose sight of the big picture. 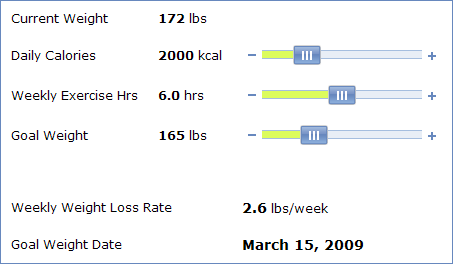 Online Fitness Log can easily give you a graphical view of your progress thus far. Staying motivated by logging your exercise, diet, and health metrics will help you stay consistent in performing your daily tasks. Use the online community to help you recognize that each exercise session and each healthy eating decision gets you one step closer to your overall goal no matter how small or trivial the step may seem. Many of you may already keep a training diary or a nutrition journal manually with pen and paper. You may be wondering why your should give up your tried and true method and move to a computer-based model. Online Fitness Log can compile massive amounts of data into intelligent information that allows you to make rational informed decisions about your health. A computer-based application can show you charts of your data that paint a much clearer picture than handwritten stacks of paper. Additionally, a web-based system allows you to access your data anywhere and anytime. All of your data is stored in a safe place and backed up on a regular basis so there is no risk of losing this important information that has taken a lifetime to collect. Now that you know the benefits of tracking your health, diet, and fitness online I'm sure you will want to get started right away. Simply click the link below to create your Online Fitness Log account and begin your journey to a happy, active lifestyle of health and fitness.